During debate on HB 1617, legislation sponsored by Republican Rep. Holly Rehder to let workers annually give or deny permission for union dues to be taken out of their paychecks, Democrat Rep. Jeff Roorda directly attacked Rep. Rehder, comparing her to Nazis. The shameful comment resulted in condemnation from Speaker Tim Jones. Wheres the outrage? Last year when Rep. Holly Rehder compared the public relations efforts of Gov. Jay Nixon to how Adolf Hitler won over the German public, the outrage caused her to apologize. This is more than referencing Nazi tactics. This is a direct comparison and a direct personal attack on the House floor. 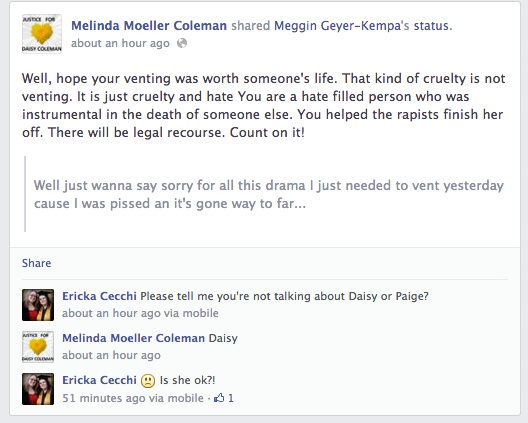 Roorda should issue an apology and publicly apologize to Rehder. Please let him know how you feel about his behavior. Linked at Gateway Pundit. Thanks, Jim. It was brought to my attention that I didnt point out party affiliation. For the record, Rep. Jeff Roorda is a Democrat. Rep. Holly Rehder is a Republican. @Bodhi1 @RoordaJ @hrehder list of needed apologies is immense. Far above this is the effort to deprive working people of their rights. Rep. Chris Kelly is a member of House Democratic leadership. Following the testimony of Susan Kimball, who described the bullying and intimidation she received for her opposition to Common Core, fellow teacher Tonya Pobst testified before the Senate Education Committee. She said she was going inform the committee about the lies and deceit that surround Common Core in the Sikeston R-6 Public School District. She described how tests that were once referred to as Common Core were being renamed. On the evening of Thursday, Feb 27th, a curriculum meeting was held at the Sikeston Learning Center. The question was asked if the Smarter Balanced Science Field test was going to be given in the fifth grade this year, Pobst testified. The chief academic officer hesitated and then answered, Yes. The Smarter Balanced Assessment Consortium is committed to supporting member states and territories as they implement the Common Core State Standards (CCSS). Working with educators, Smarter Balanced will identify high-quality curriculum resources aligned to the CCSS and professional development strategies that can be replicated across states. Post said the test has been renamed from the Smarter Balanced Fifth Grade Science Field test to MAPP Science Field test. This is now the name being used to notify parents and care givers for this Smarter Balanced Fifth Grade Science Field test, she said. Rather than tell parents and caregivers they are implementing Common Core standards, schools appear to be hiding the fact from those who should know. 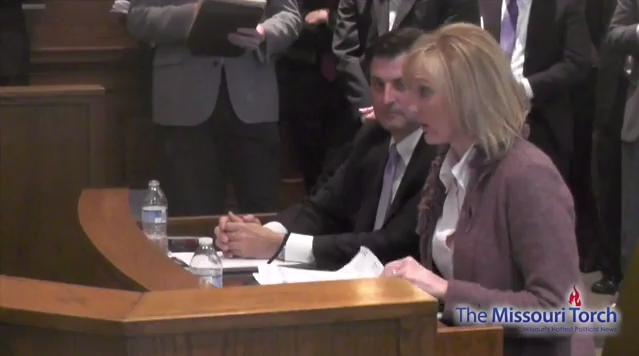 Sen. John Lamping, who sat beside Pobst during her testimony, recalled Missouri Department of Elementary and Secondary Education Commissioner Dr. Chris Nicastro saying Missouri was going to do its own thing. I was in a meeting two or three weeks ago with Director Nicastro in that room and I made that claim that, Well, the history standards and the science standards are next up and she said, No, no, no, no. Missouri is going to adopt our own standards, Lamping said. Now we are hearing testimony today. They are taking Common Core science standards, rebranding them MAPP standards and Im just, I appreciate you being here so much. Lamping then went on to condemn the harassment Pobst and Kimball received based on their opposition to Common Core. Sen. Dan Brown offered his own testimony regarding the deceit regarding Common Core, saying hes witnessed it himself during presentations hes seen. Further amend said bill by adjusting section and bill totals accordingly. The amendment was opposed by 97-57. This isnt the end. The bill now has to go through the Senate. Its possible it comes out the other side without the amendment. There are other bills out there that do the same thing. Also, a big turnout is expected tomorrow at the Senate Education Committee. 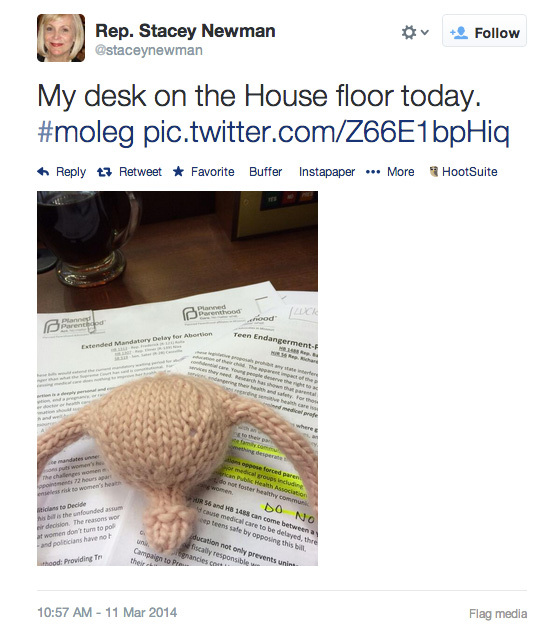 Yes, thats a knit uterus on her desk on the House floor. Thats how mature the debate is. It goes right along with Sen. Jamilah Nasheed saying on the Senate floor that government needed to stay out of her va-jay-jay. One side is debating an issue of life and death. The other is bringing knit vaginas and street slang. Thats where Rep. Mike Lair sits. 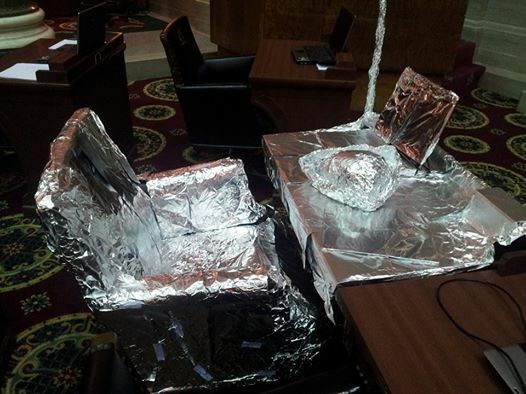 Lair appropriated $8 to buy tin foil hats for Missourians who oppose Common Core. He did this a day after hundreds of people flooded the Missouri state capitol in protest of the program. I guess someone was unimpressed with Lairs sense of humor. The House Appropriations – Education Committee cut deeply today into Gov. Jay Nixon’s proposals for public schools and higher education, slashing his planned increases by more than $200 million. On the summary sheet handed out to lawmakers, the money is slated for “tin foil hats” and was tied to an amendment removing language barring the state from accepting federal grants to implement Common Core standards for public schools. “Basically, when you deal with conspiracy theorists, you do logic first,” Lair told the committee, noting that he has filed bills to limit how student data is shared and blocking the Department of Elementary and Secondary Education from mandating curriculum or textbooks to local schools. Oh, if we could only all be a wise as Rep. Mike Lair. And heres his Facebook page. Let him know what you think about his sense of humor. I asked Sen. John Lamping, sponsor of SB 514, which prohibits the implementation of Common Core, what he thought of Rep. Mike Lairs actions. 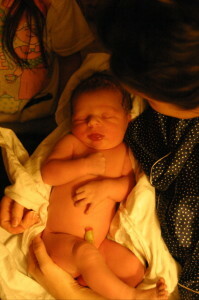 @Bodhi1 Disappointed to see an “R” revert to typical Liberal name calling tact. Wonder if he thinks 600k NY union teachers need tin hats? @Bodhi1 You know youre starting to win the debate when your opponent starts ignoring the facts and starts calling you names. There is this thing called the SNAP Challenge. The SNAP Challenge encourages participants to get a sense of what life is like for millions of low-income Americans facing hunger. By accepting the SNAP Challenge, you’ll commit to eating all of your meals from a limited food budget comparable to that of a SNAP participant $1.50 per meal. The Supplemental Nutrition Assistance Program (SNAP, formerly food stamps) provides monthly benefits to supplement the food budgets of families in need, but in many cases these households still struggle to put food on the table. While it is impossible to fully comprehend the difficult decisions low-income families face, sharing your experience with the SNAP Challenge will help raise awareness about the issue of hunger in America. $1.50 a meal seems like very little, doesnt it? Most think so. 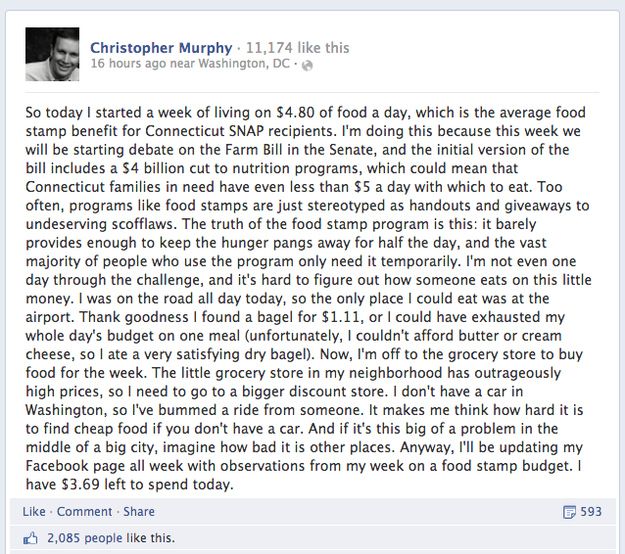 I decided one day to see what I could get from the state in the way of food stamps. Missouri has a website that estimates what a person would qualify for. Just so you know, when I went through the interface, I put in the number of children I have (six), the amount I pay for my mortgage and what my utilities are and assumed I had nothing coming in for income. Wow. That is a lot of loot. And heres something more: thats only $1.42 a person. I had my wife sit down at the computer and do some virtual shopping. Her limit was $1,137. Get rid of the shipping and tax and youre looking at right around what wed be given on food stamps. Take a close look at that list. AND 25 POUNDS OF BACON! Im told we could live on that for more than one month. Key statement: It barely provides enough to keep the hunger pangs away for half the day. Does my list look like it would keep the hunger pangs away for half a day? I think if I were going to be on the road all day, Id maybe start the day with a six egg sausage and cheese omelet and pack a pound of bacon and a couple hamburgers for the road. Im pretty sure Id make it through the day on that. The question I keep asking myself is, Why shouldnt I sign up? I qualify. Maybe not for $1,137, but Id get quite a bit of loot. Other than my own set of beliefs, theres nothing stopping me. Its an incredible temptation. I can see how easy it would be to let the government pay for all my food. I mean, if I were getting $1,200 a month for groceries, why would I get a job? What job could I get where I could afford to live like that? “It’s tricky. You know, I just got done having lunch and I’m hungry again,” Rep. Mark Pocan (D., Wis.) told Politico. New York City’s Democratic comptroller John Liu, who is running for mayor and participating in the challenge, tweeted pictures of himself eating Campbell’s soup directly from the can, and a loaf of sliced white bread. Weiner will live on $1.48 per meal for one week — the average benefit for city residents enrolled in the Supplemental Nutrition Assistance Program. “I doubt I’ll be able to do that at any restaurant in the city,” said Weiner. Yeah, no kidding. Its SUPPLEMENTAL. Its not supposed to pay for a night out, you clown. Ill update when I have more. A pre-filed bill in the Missouri Senate would require parents of a public school student to report to the school if they own a gun. 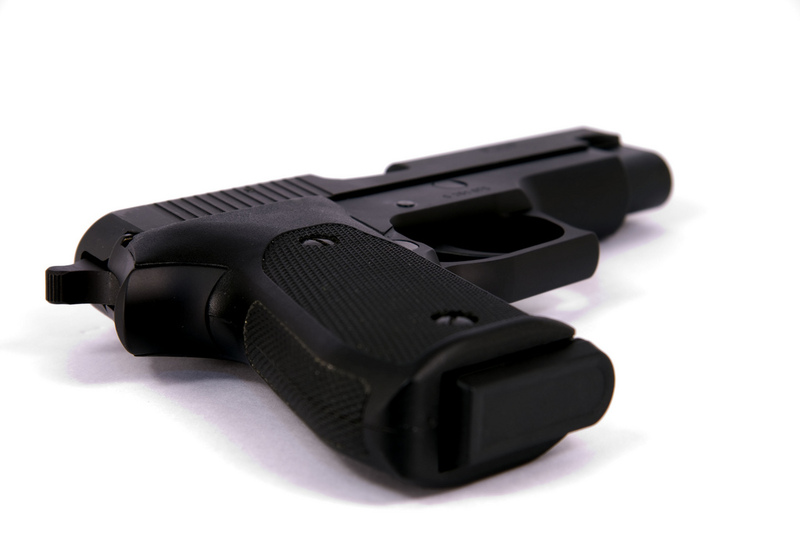 This act requires a parent or guardian to notify a school district, or the governing body of a private or charter school, that he or she owns a weapon within 30 days of enrolling the child in school or becoming the owner of a weapon. The written notification only needs to include the names of the parent and any child attending the school and the fact that the parent owns a weapon. The good news is, if you have several children attending the same school, you only have to notify the school once. So theres that. 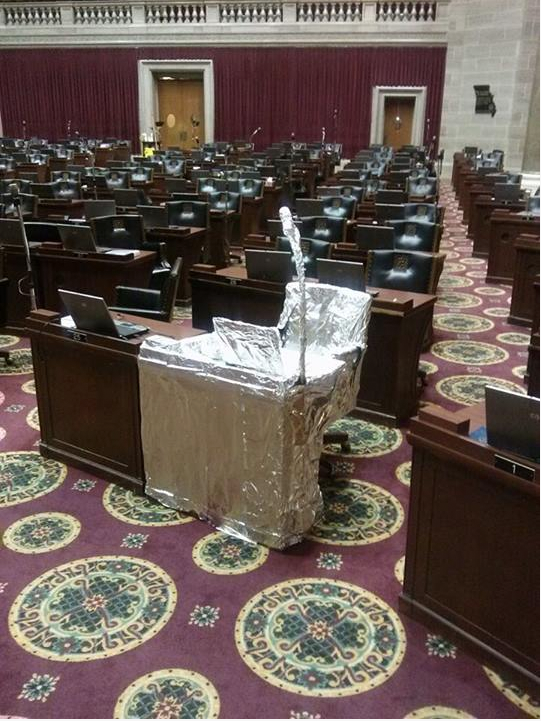 This isnt the first time Sen. Chappell-Nadal showed complete disregard for the privacy of Missourians. The bill is exactly like SB 124 from the 2013 General Assembly. I was just on Tuffy Gesslings Facebook page. Its being reported that Tuffy was the rodeo clown wearing the Obama mask at the Missouri State Fair. On the About page, you can see hes liked the Facebook page Support Tuffy Gessling, Professional Rodeo Entertainer. Lets go ahead and make that 16,241. Too late. Its already 16,262. Theres a call for solidarity across the rodeo clown world and have thousands of Obama masks in the rodeo arena Labor Day weekend. That would be an incredible show of support and resistance. 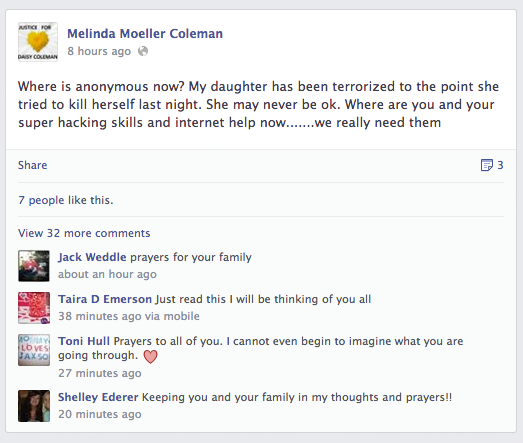 Fifteen minutes later, its up another 200+ Likes. After reading the page, they had 4,000 Likes in five hours, 6,000 in six. They keep adding a link to the Missouri State Fair Facebook page, but the Fair keeps deleting it. Linked at Gateway Pundit! Thanks, Jim. By the way, the Facebook page is over 30,000 Likes now. Wow!